Welcome to 2015, and a special edition of the LMCU News! This month’s newsletter is packed with ideas on how to improve your financial fitness both now and down the road. Just a few simple changes can be the key to saving a lot of money and securing your financial future! 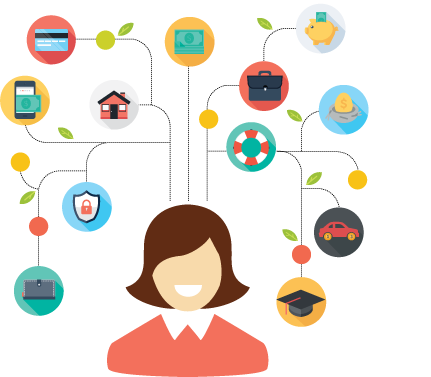 Read on to learn how you can make 2015 your best financial year ever! If you’re currently paying over 5.00% on your mortgage, you should look seriously into refinancing. With a recent down-tick, mortgage rates are again hovering at or near historic lows. It’s hard to tell how long these rates will remain low, so take action sooner rather than later. At this writing, current rates are 3.79% APR for a 30 year fixed mortgage. Depending on your current rate, you could save thousands over the term of your loan. And know, with LMCU’s Low Mortgage Rate Guarantee**, you’ll always get the best rate possible. *APR = Annual Percentage Rate. Base rates as of 12/10/14 are quoted and are subject to change. The monthly payment based on a $150,000 loan on a $200,000 property value for 30 years would be $698.30 at an interest rate of 3.750%. If an escrow account is required or requested, the actual monthly payment will also include amounts for real estate taxes and homeowner's insurance premiums. Your rate may vary depending on your specific credit and property analysis. Max Mortgage program. **Our Low Rate Guarantee: Lake Michigan Credit Union will match legitimate competitor offers or credit the borrower $300 off closing costs. If you’re carrying high interest debt from previous loans or credit cards or lines of credit, consolidate that debt with our Max Equity loan, with a current rate as low as 2.99% APR*. The Max Equity program includes two flexible loan options— a revolving line of credit, and a fixed rate loan. Both options allow you to pay off balances on your own terms, with no application fees or pre-payment penalties. And interest payments are usually tax deductible.† Visit any LMCU branch or call (616 or 800) 242-9790 to learn more. *Annual Percentage Rate (APR) as of 6/9/2014. Rate assumes auto-pay from LMCU checking account. Rates subject to credit qualification. Your rate may vary depending on your specific credit terms. Home equity lines of credit and loans are only available for homes located in Michigan. †Consult your tax advisor about the tax deductibility of interest. Revolving line of credit has a variable interest rate and the APR will not exceed 12%. Fixed rate loan term examples: On a $20,000 loan at 2.99%, you would make 60 payments of $359.28. On a $20,000 loan at 3.99%, you would make 120 payments of $202.40. On a $20,000 loan at 4.99%, you would make 180 payments of $138.02. This is a common financial leak that drains your funds month after month. 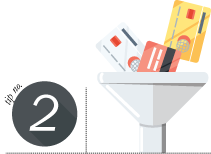 Look at the credit cards you currently use. If you typically carry a balance from month to month, the LMCU Prime Platinum Visa card has one of the lowest rates in the country and was voted among the best in the nation by Money Magazine†.If you normally pay off your balance every month, consider the Max Rewards Card. You’ll earn cash back or points* on every purchase. Get 3% on gas**, 2% on groceries and 1% on everything else. It’s like having a discount coupon for anything and everything you buy. And…. no matter which LMCU credit card you choose, there are no annual or balance transfer fees, plus a 25-day grace period, 24/7 fraud protection and zero-fraud liability. Apply online today at lmcu.org, or visit any branch location. *Per dollar spent. **Maximum earned on first $500 spent on gas/month, 1% after maximum is reached. †Money Magazine, October 2014 - MONEY is a registered trademark of Time Inc. used under license. MONEY and Time Inc. are not affiliated with and do not endorse the licensee. High school seniors should be sure they enter our 2015 Hutt Scholarship competition. This year we’ll award ten $2,000 scholarships to the writers of essays that best answer this question: "Twenty five years from now, how will the world be a better place because of you?” You can find out more details at lmcu.org/hutt. But hurry—the deadline to enter is January 31, 2015! When you combine home, life, auto, health or business policies together, you’ll get big discounts that improve your bottom line. And with our Looking Out For You program, anytime your rate is due to go up 15% or more*, we’ll shop our 16 different carriers for a better rate. So see how much you may save! Call (616) 643-0623 or go to LMCU.org/Insurance to get started today. Here’s another common money leak. Look at the rate you’re paying for your vehicle loan. If it’s over 3%, you should take advantage of our lowest rate ever—2.25% APR*. Call (800) 242-9790, visit LMCU.org or stop by any branch and start saving! If you currently have a checking account with another financial institution, you are very likely paying monthly service fees and getting very little interest in return. Make the switch to LMCU’s free Max Checking account. It pays a remarkable 3.00% APY* on balances up to $15,000, with no fees, no minimum balance requirements and free ATM use**. It’s been rated among the best checking accounts in the nation by Kiplinger’s magazine†. Just handle a few simple monthly activity requirements‡ and you’re in. Start earning 3% today! Seriously, you can’t beat this deal with a stick! Call us at (616 or 800) 242-9790, open an account online at LMCU.org or stop by any branch. *APY = Annual Percentage Yield. Interest not paid on balances over $15,000. **Refunds up to $15 per month in surcharge ATM withdrawal fees at non-LMCU ATMs when you withdraw from your Max Checking account. Rate subject to change. †Kiplinger’s Magazine, February 2013 - "10 Best Ways to Earn More Interest on Your Savings" Kiplinger is a registered trademark of The Kiplinger Washington Editors, Inc. © 2013 **To earn 3% APY, simply meet the following monthly usage requirements: 1. Direct deposit into your Max Checking account. 2. Minimum of 10 debit card purchases per month. 3. Minimum of 4 logins to home banking per month. 4. Be eligible for and sign up to receive eStatements/eNotices. Many LMCU members don’t know about the discounts they’re eligible to receive. You can save 10% (15% for businesses) on regularly priced monthly mobile phone plans from Sprint, just for being a member! Visit LMCU.org for details on how to get started saving every month. You can also save money on your tax filings with LMCU’s discounted TurboTax® options. Members get up to $15 off any TurboTax federal product. To take advantage of the discount offer, look for the TurboTax link on our home page at LMCU.org. Download the LMCU mobile banking app to keep track of all your finances 24/7/365! It has a quick view menu that shows you what you have in the accounts you use the most. It’s also easy to apply for a loan, check the latest rates or take advantage of financial calculators to help guide your moves. It’s available for free by visiting the Apple App Store or Google Play. Your long-term financial success depends on choices made today. 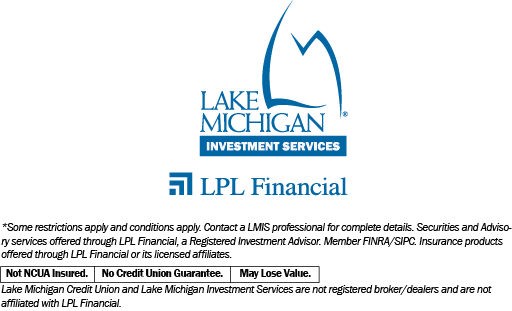 As an independent professional brokerage, Lake Michigan Investment Services offers personalized financial planning and strategies based on your unique situation, attitudes, dreams and goals. Strategies are designed to adapt to market changes and your personal circumstances. Schedule an appointment today with a Lake Michigan Investment Services advisor for your free financial check-up. Call us at (616 or 800) 242-9790 ext. 6301 or go online at lmcu.org/investments. Coming soon! Anyone who’s ever had their identity stolen will tell you it can be one of the most frustrating and costly events of their lives. 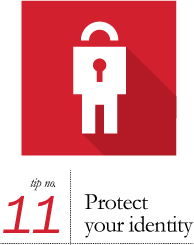 LMCU members will soon be able to save on identity theft protection plans from LifeLock®. Watch for coming announcements about this program, and how you’ll be able to save money and protect your financial wellbeing. If you’re a business owner, LMCU’s commercial banking group is the best place for your money! It’s your single source for loans, lines of credit, business checking accounts and the services essential for success and growth. For a comprehensive array of financial tools and expert advice designed for flexibility and freedom, look no further than Lake Michigan Credit Union’s commercial banking group. Contact us today at (616 or 800) 242-9790 and let us help you take care of business in 2015!